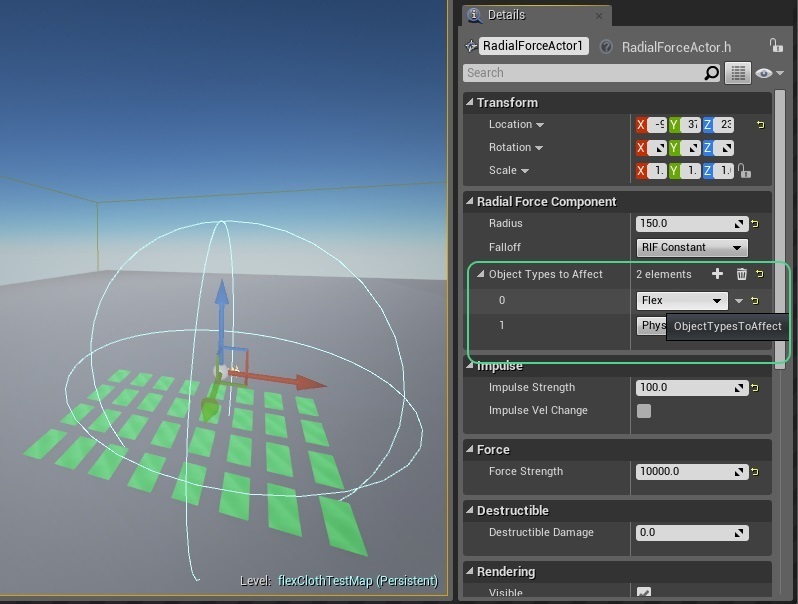 The radial force Component and the corresponding Actor can be used to drive Flex objects. Please refer to the documentation of the Radial Force for details of the component’s functionality. In order to achieve interaction with Flex, the Object Types to affect control within the Radial Force Component needs to be configured to contain the Object Type specified by the Flex Container. By default this is the “Flex” Object Type. The Flex Attach option can be enabled to attach all Flex objects that are overlapping with the Radial Force Field at creation time. The particles are released when the Force Field is deleted. This is similar to the Attach To Rigids functionality of Flex Assets.